The Unguarded manuscript is entering its fifth and final read-through today, as it will be handed over to my editor on Friday afternoon. I have polished parts of it here and there, and will hopefully find any remaining issues and fix them this week. Like I said before, the biggest issue for me is the dialogue, so my focus is to make it crisp yet still within the confines of each character and situation they face. Along with a few other minor things, that is all that is left to do for my part. I’ll hand the manuscript over and revisit it upon my return from Germany in January. The tentative release date is January 24th. Details about the release and the book’s pre-order will be included in next week’s blog post. At this point, my goal is to have the pre-order set up early next week. Keep in mind that it is only for the ebook version. I have never set up a pre-order before, so hopefully it goes over well and it actually works when readers order the book. Keep your eyes peeled for the details in next week’s blog post! I have yet to receive the first review for my short story ebook Volume 1, but I am not letting it get me down. Reviews will come when they come – that’s just a part of writing that I have to get used to. After launching Unguarded in January, I will work more on the short stories in the next ebook, Volume 2, which I’m aiming to release sometime in the spring. I would like to release it before really getting into the writing of my next book, but only time will tell what is to happen. More details about that in the coming blog posts. If you haven’t done so already, I strongly encourage you to join my mailing list. It is very easy to do and will be well worth your time. I send out bi-weekly newsletters via email to my followers, where I reveal details about my upcoming projects, as well as give updates on currently published books. Not only that, I also am more personal and informal here because I want it to be a place where my readers can connect with me on a more personal level than through social media. So if you have a minute, click the link above and send me a message – I’ll gladly add you to the list and you’ll be all set. The next newsletter goes out this Wednesday, so do it now in order to receive it on time! Thank you to all my readers, family, and friends – without your support and encouragement, I couldn’t do what I love to do. The third read-through of the Unguarded manuscript was completed on Thursday of last week. I feel that this read-through has improved the dialogue, but I will continue to focus on that aspect of the story in my next read-through this week. After I posted to the blog last Monday, I was in contact with a friend who has expressed interested in collaborating together on a project. Given the circumstances surrounding the professional editor and how not purchasing those services at this time has affected the publishing timeline, I asked if he’d want to work on this project. He said yes! So, I will be submitting the manuscript to him the week before Christmas, over which time he’ll edit it. Upon my return from Europe, I’ll get the edited manuscript back and make the necessary changes that need made. I’ll then do one final read-through before sending it through to Amazon for their final preview before it launches in print and ebook form. My hope is that it will be no later than mid-January when the book goes live. It is definitely a very exciting development for me! I will have more details on the release as the date nears. In the lead-up to the holidays, I am going to attempt to set up a pre-order deal through Amazon for Unguarded, which will begin just before Christmas Day and last until the book is released (so roughly a month). I plan on making the print book $5.99 or $6.99 for the pre-order, then reset the price to the usual $7.99 after it’s been live for a week or so. My advice: pre-order the book when it goes live, just so you can save yourself a couple of bucks! I’ll also have more details about that on my blog as well as through social media. 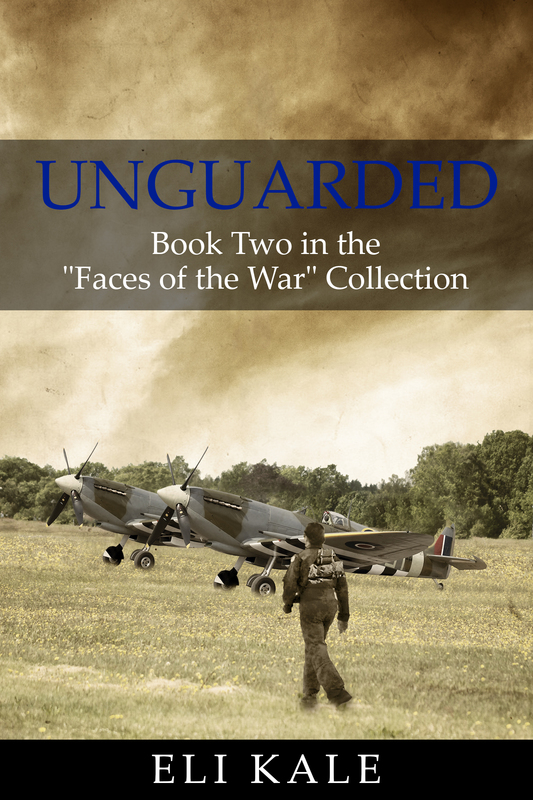 Also regarding my WWII books, the cover reveal for Unguarded will be held first through my newsletter, then a few days later on my blog. If you haven’t joined my mailing list yet, I encourage you to do so in order to receive in-depth updates before the general public. It’s well worth the time, and it’s easy to do! That’s really all the big news for this week. If you’re a regular follower then I thank you for your continued support of my work. And if you’re new to this site or to my work, then I say “Welcome aboard!” and I hope you enjoy what I write and put out to you. Writing has truly become a passion of mine, and I’m very grateful that I have the opportunity to do it. I hope this post finds you well and ready to face a new week ahead! I have said in the past that I eventually would like to start producing blog posts that delved into the realm of explaining my writing process and that would offer tips and tricks to other authors. Well, given that the publication process for Unguarded has slowed down a bit – and that there’s not much news to report this week – I figured I’d use this week’s blog to talk a little about my writing process. By no means is this blog post meant to be a definitive guide to writing and publishing, for the process is different from author to author. This is simply my approach to writing a manuscript. When I began writing my first book, Resistant, I had a single idea in mind which would serve as the end game of my plot. With there being one goal in mind for where I wanted to take the story, it helped me keep my writing organized and together. If I came up with an idea while composing the text, I’d ask myself, “Does this fall in line with the end goal?” If it did, then I’d explore ways to efficiently incorporate it into the book. If not, then I set the idea aside. I would never completely throw out an idea, for you never know how something might work in a different context later down the road. After establishing a concrete story idea, I began outlining the plot in skeleton form. This term simply refers to the act of roughing out your story in general parts at a time. For this, I sectioned off my Word document into separate parts, divided by asterisks. Within those separate sections, I would type a paragraph or two generally describing what would happen in that part of the story. Obviously it would be easiest to go through the story in chronological order, but sometimes I would come up with an idea and say, “That might work better a few sections from now, later in the story,” and so I would scroll down and input the idea where I deemed appropriate. After carefully planning out the story and typing up these general paragraphs, I would have a rough story in front of me. By this time in the process, I would have the basic gist of the story well-established, both on the page and in my mind. From here, the task at hand would be to start implementing more narrowed and specific ideas and details into the story. This is where character names, personalities, and interactions come to life. I keep the main plot line in mind as I go through, typing out more and more details in sentence form. I don’t necessarily write like it would be in the final book, but I also don’t just jot down phrases. It’s a weird thing to describe – it’s something that just happens a certain way. I use a lot of semi-colons and commas, as well as ” –> ” in this part of the process. I don’t expand my thoughts on things like setting, deep characterization, or dialogue at this point. I feel that those come alive better through spontaneous thought later in the process. Also during this point in the process, I do research on the historical side of my story ideas. I reference historical non-fiction books and memoirs, using anecdotes and other firsthand accounts of events for inspiration. 1) When writing dialogue, how does this or that character’s personality play into his/her speech? 2) Use a variety of words without repeating too many, if you can help it. This includes things like dialogue tags (…said…) and verb usage (…walked, yelled, nodded…). 3) It’s elementary, my dear Watson…5-7 sentences per paragraph, unless somehow appropriate otherwise. Once I have completed the first draft of the manuscript, I set it aside for a day or two. This allows my mind to recharge and to give me a break from seeing the words I just wrote. Any veteran author will tell you that it is good practice to give yourself a break from writing, because after a while your eyes overlook little mistakes in the text that you could otherwise catch after taking a rest. Upon returning to the manuscript, I do the first read-through with the focus being on spelling, grammar, syntax, and diction. I’ll admit that I don’t always catch little mistakes that hide in the text, but that’s why doing this step is important. As I read through, I’ll also sometimes fix the phrasing and wording of parts here and there if I feel they don’t come off the tongue just right. After completing the first read-through, I again put the manuscript aside for a day or two. I then return to the manuscript for the second read-through, this time focusing on character interaction, dialogue, and the action/emotion of the plot. The second read-through is probably, for me, the most important read-through of the entire process. I inevitably change more phrasing or wording this time through, as well as expand on ideas that I think should have more weight in the story. On the same token, I sometimes take out or minimize ideas that I now believe shouldn’t have as much attention in the story. It is a rather delicate part of the whole process. After reaching the end of the manuscript, I again set it aside. For the third read-through, I don’t focus on any particular thing – just simply anything that jumps out or sticks out to me as I read the story. By this time in the process, the manuscript is fairly well constructed, and is not in need of as much attention. It is at this point that I give my story to a friend who acts as an ad hoc beta reader and editor. They give me feedback and general comments on things they feel need changed, and even for things they feel fit really well in the story. Constructive criticism is the name of the game here. I usually do one more read-through after receiving the editor feedback, which sometimes is nothing more than skimming the text for any last-minute fixes. At that point, I was ready to submit my manuscript for review and finally get it launched in print and ebook form. Again, I say that this process isn’t meant to be a definitive guide to writing – it’s simply my way of doing it, and it may or may not work for you. Even for my second book did the process change quite a bit, so that is proof enough that doing something one way won’t work for everyone, every time. I just think it is neat for others to see into how I work, because I think it’s cool when I get to see how other authors do their own work. I hope this post has been an interesting one for you, and that you can better understand how I work on a project. It is definitely something about which I am passionate, and something I hope to keep doing for years to come. And I am glad you are going on this journey with me! I plan to write about my experiences in self-publishing in a post sometime in the coming weeks, so stay tuned.